Before that moment in 2014 Alice was focused on her game. She was on tour in Spain playing beach rugby with her Shelford team mates. The tournament was supposed to provide her with a strong footing for joining the Cambridge University team the next year. Alice knew getting into the Cambridge team would mean becoming part of sporting history. In 2015 the ladies Cambridge and Oxford rugby teams would meet at Twickenham Stadium for the first time, an honour which had previously been reserved only for the male squads. Alice didn’t get to A&E until she flew home three days later, where she was told it could be an ACL tear. As a medical student, Alice knew that a torn anterior cruciate ligament could mean a long recovery. So the already-qualified dentist was relieved when she was referred to the orthopaedics department who offered a potential alternative diagnosis and sent her away with a programme of physiotherapy without surgery. But after three months out of the game Alice’s knee still wasn’t healing, it would swell up regularly and give way underneath her. Deciding that she could no longer continue on crutches, Alice was referred to Nuffield Health Cambridge Hospital. “They did a scan which confirmed the A&E’s original diagnosis and booked me straight into surgery. “After the surgery I was back on crutches, but I knew that it was finally heading the right way. I was referred to my Nuffield Health physio, Simon, who saw me the week after the operation.” Alice continued to see Simon every week in the months that followed. “Simon was very reassuring. I was worried about swelling but he helped me understand that it’s natural and not to worry too much if it happens throughout the treatment." In his first assessment Simon checked Alice’s range of motion. Due to the post-operative swelling she couldn’t fully extend or stretch her leg. 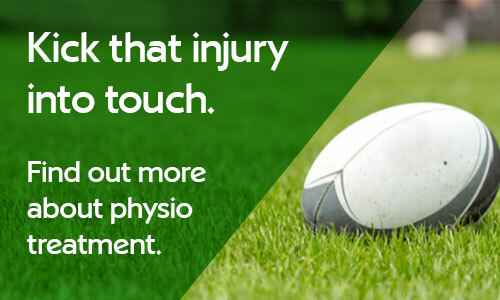 The physiotherapist provided a plan of action, setting small targets for Alice to achieve along the way that were specific to the movements she would perform in rugby. But with her sights on playing the varsity match, Alice remained dedicated to her treatment plan. After a few months of physio, Alice passed her final test to be released from treatment. Come December 2015 Alice was delighted to not only be in the Cambridge squad, but to have been chosen to play at Twickenham. As she stood on the field she had confidence that her knee would stand the test of the game. But she hadn’t prepared for quite how big a role she would play. Her dreams became a reality when Alice took Cambridge to a new high as the first side to score more than 50 points in a crushing 0 – 52 defeat against Oxford. Scoring a glorious hat-trick Alice claimed Player of the Match in a game that will be forever recorded in the history of women’s sport.